This collection of poetry and drawings is a reminder of the conditions endured by the ‘Forgotten Army’ of Allied servicemen who fought in the Burma campaign during World War Two. As a survivor of that campaign, Kenneth Child recognises that he was one of the lucky ones – many of his colleagues and friends did not live to see our eventual victory over the Japanese. 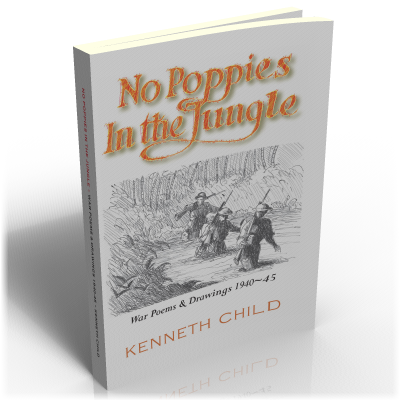 A talented artist as well as a gifted poet, Ken puts his skills to good use and his verses and detailed drawings combine to deliver a powerful impression of what life in the tropical jungle was like for those who fought in this most arduous of campaigns. His work will no doubt find favour with fellow veterans and their families and those interested in the history of the Burma campaign.